FDC 3930 is 3M 3930 3M™ High Intensity Prismatic Reflective Sheeting - It is a non-metalized micro-prismatic lens reflective sheeting designed for production of reflective traffic control signs, work zone devices and delineators that are exposed vertically in service. 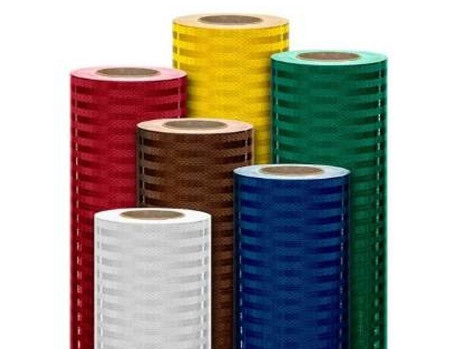 Applied properly it provides long-term reflectivity and durability. To used punched material, use part number 3980. *Special Order 24", 30" and 48"x50YD Minimum - 10 Day Lead Time.